Did you know that there are different Apple loops ? Apple Loops are prerecorded musical phrases or riffs you can use to easily add drum beats, rhythm parts, and other sounds to a project. These loops contain musical patterns that can be repeated over and over, and can be extended to fill any amount of time. When you add an Apple Loop to a project, a region is created for the loop. When the project plays, the region plays at the project’s tempo and key. This lets you use several loops together, even if the loops were recorded at different speeds and in different keys. Audio loops (blue) are audio recordings. 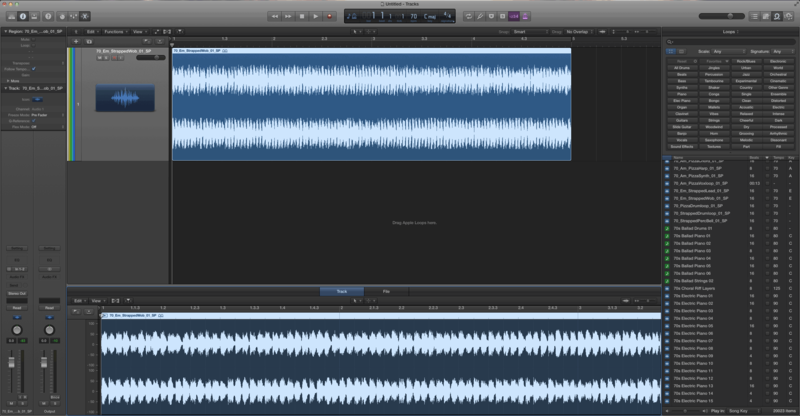 You can add them to audio tracks, and edit them just like other audio regions in the Tracks area and Audio Editor. 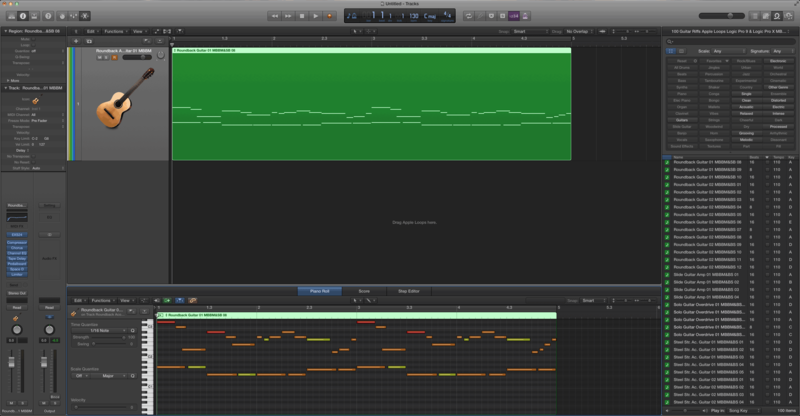 Software instrument loops (green)can be edited just like other MIDI regions, including editing individual notes, and can be viewed in the Piano Roll and Score Editors. You can change the sound of the instrument used to play the loop. You can add software instrument loops to software instrument tracks, and also convert them to audio loops by adding them to audio tracks. Using the Loop Browser, you can find loops with the instrument, genre, and feel you want, play loops, and add loops to your project. You can also create a selection of your favorite loops, create your own loops, and customize the Loop Browser.